"So God created man in his own image,in the image of God created he him." During the week of Creation when God said, "Let us make man in our own image, after our likeness:" [Genesis 1:26] one of the attributes of His image that we were created in, is that our soul is eternal. That is to say, that one's soul will exist somewhere in eternity, no matter what decision he or she makes concerning the salvation offered in Yeshua, the Messiah, who came to save the world. Each of us has promised to us a future resurrection into a never ending existance of drastically different conditions. We are accountable to God for our actions, and we will stand before Him one day, either as Judge or Savior to determine what this eternal existance will be. And this is the critical issue that each thinking person is faced with. The question becomes, "What must I do to achieve salvation, that is, to live?" The concept of the eternal existance of one's soul may be easier to conceive, once we realize that this was GOD's intention from the very beginning, as He placed man in the Garden of Eden. It had a perfect environment, and Man was in perfect fellowship with his Creator. This condition was intended to go on throughout an unending existance, because the GOD with whom we were to fellowship is indeed "from everlasting, to everlasting." [Psalms 90:2]. Instead, man was deceived by Satan and fell into rebellion against GOD's commands. This resulted in his immediate spiritual (and later on) physical death. However the accoutability to GOD remains in effect and each soul will stand before Him one day, again- either as Judge or Saviour. 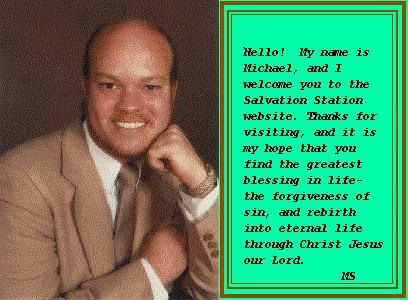 Any thinking person should instantly realize the magnitude that this truth bears on their future and begin to seek the one and only way which leads to life, salvation in Jesus Christ the Lord.